In this class I’ll take you through creating a ‘Jungle Animal’ themed pattern collection for your portfolio. I’ll be showing you some more advanced Adobe Illustrator skills along the way. Jungle themed patterns are not going anywhere soon. I’ve just designed 10 illustrations/patterns for french company Auzou to go on an exciting new kids creative product, all themed around jungle animals. 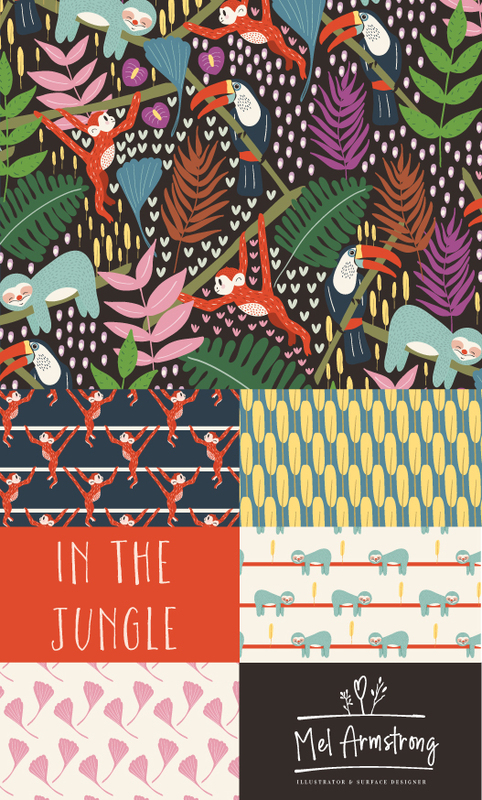 I think it’s vital, as a surface pattern designer, to have some Jungle inspired themes in your portfolio.